Life of a Knitphomaniac: Happy Memorial Day! Hi everyone.....I hope you have had a fantastic week and are now enjoying a Happy Memorial Day! I always feel a little weird when I type Happy in front of Memorial Day....it is a holiday and I want you to have a happy one....but I also remind myself never to forget those who gave the ultimate sacrifice and not really a "Happy" occasion.....So thanks to all of those who have sacrificed so much!!! Okay, I hope that did not start off too gloomy....I am going to jump straight into stash enhancements....my first stash enhancement is tea.....from Plum Deluxe....I LOVE this tea. There are so many awesome flavors I do not even know where to start....but if you like tea, you really should give them a try!!!! 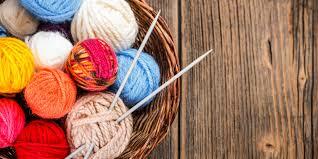 Then, I was at Darlene's desk one day and she opened one of her desk drawers....being the nosey person that I am.....I saw yarn and said "Hey, what yarn did you buy?" She had bought a bunch of DVD yarn and this yarn....Neeley's Knits.....it is BFL and Silk and the colorway is called Wildlings (a game of Thrones thing)....this is such a Carrie color! Darlene gave it to me.....she is so awesome....I will probably make socks with it!! Thank you Darlene!!! Then, I got a package from Susan at DVD (Desert Vista Dyeworks).....it is my DVD swag for my instagram posts and participating in #thesecondannualdvdmonthlysockclub. 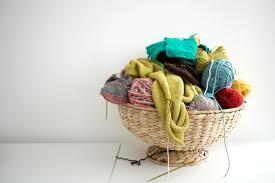 Okay.....now on to the knitting....I actually knit a ton...which I love!!! 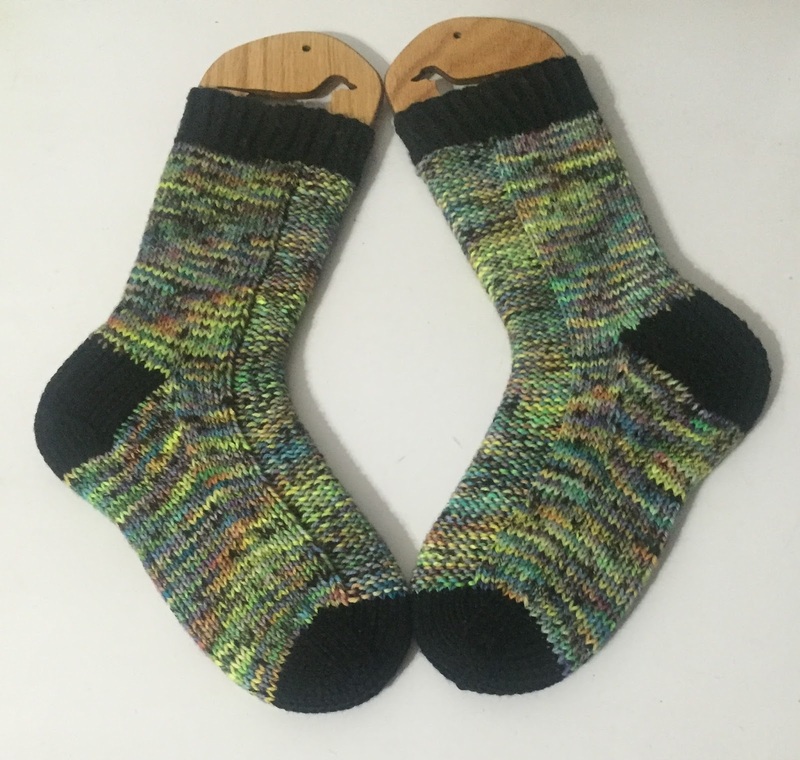 I finished the Rye Worsted weight socks for Loopy Academy. And knitted till I could bind off.......whew! Here are pictures pre-blocking....the lighting is not that great.....sorry! The only other thing I knit on....was Paige's Hat....I started this hat in Nov of 2014....so while I was knitting away on my Pure joy.....I just needed something to give it a bit of a break and did a few repeats on this hat.....it is looking pretty good! Well, that is really all I have this week.....next weekend is the great knitting retreat I have at my sister's lake house every year.......so be prepared for some awesome photos next week! Oh, and Tour de Sock starts this week too......yeah! I dare not be jealous of your knit retreat at the lake, though I really am. One of these days, I might drop by and see what you all are doing. But I am going to enjoy a weekend with a bunch of knitting folks as well, but alas, no lake to see. Ruby, you are welcome to the lake house any time I am there.....I can email you the address.....Have a great weekend! Coffe (or wine). 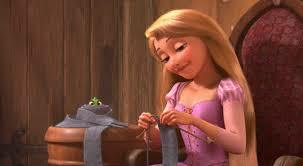 Knit. Sleep. Repeat. Maryland Sheep and Wool 2016!!! The BIG 4 Retreat.....join us!